Hunger is on the offensive, even in the United States. The Department of Agriculture reports that 49 million Americans struggle to get food. Worldwide, nearly one billion people suffer from hunger, and child malnutrition is rampant in East Africa, Afghanistan, Yemen and many other areas. President Obama and the Congress, as they grapple with the federal budget, also need to protect the hungry. They can take a page from President John F. Kennedy’s playbook for his first days in office, back in 1961. Kennedy’s first act as president was to order food aid to hungry people in the U.S., particularly in West Virginia. Unemployment was high, and it was critical that food support be given during a time of great strain on the people there. Kennedy’s plan involved distribution of food stamps to the needy. And it worked. Also the Kennedy administration worked on improvements to the national school feeding program. This is a vital safety net to ensure that children in impoverished families do not suffer from lack of nutrition. Today, protection is needed for families all across America, where unemployment rates are skyrocketing. Demand for food banks is growing. Many Americans face a struggle to afford food. But support from the federal government is dwindling, with programs like the Emergency Food Assistance Program (TEFAP) facing reduced funding levels. Emergency food banks across the country count on TEFAP for supplies. President Obama and the Congress should expand food aid for hungry Americans. Programs like TEFAP, food stamps, the national school lunch program, including summer feeding, need to be emphasized. Like JFK on his first days, they need to do what is right for the American people. But also like JFK, Obama and Congress have to think globally and consider our national security interests abroad. Fighting hunger overseas is an essential part of our foreign policy. JFK realized this. His predecessor, Dwight Eisenhower knew this when he signed Public Law 480, which became known as Food for Peace. This program is the primary tool for the U.S. in fighting hunger abroad. President Kennedy, in his second executive order, created a White House office for Food for Peace. This bolstered the existing program and made fighting hunger a top priority, where it also needs to be now. Today, the U.S. should expand its food for peace program, not reduce funding as proposed in budgets put forward by Congress earlier this year. Hunger-fighting initiatives are relatively inexpensive and do not contribute to our debt problems. Moreover, they are essential in terms of promoting stability and economic development abroad. The U.S. simply cannot afford to retreat from fighting the menace of hunger. There is tremendous suffering ongoing in East Africa in the famine and drought zone. In Afghanistan, where we are trying to win the peace, a hunger crisis is growing, and food aid programs face huge budget shortfalls. Likewise, in Yemen hunger is on the rise while the World Food Programme and UNICEF remain low on funds to combat the scourge. One area where the U.S. really needs to step up is in child feeding. When Kennedy became president, he named George McGovern the Food for Peace Director. McGovern led a vigorous campaign against hunger, including school meals for millions of children in Brazil, South Korea, India, Poland and other countries. Many of these nations developed their own national school feeding program from this effort. Today, we need that same kind of resolve as funding for school lunch programs in developing countries remains low. In Afghanistan, for instance, reduced funding for the World Food Programme forced about 500,000 children to lose their school meal ration. That is hardly an epitome of a reconstruction going well. In Haiti, support for school feeding is critical to turning the corner on rebuilding the country from the earthquake. We do not want to cut funding now. Food for Peace as well as the McGovern-Dole school lunch program need increased funding. 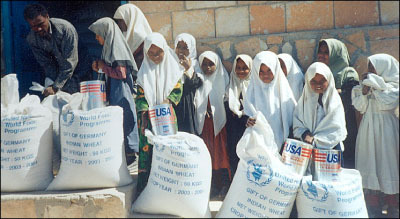 Food aid programs have historically received bipartisan support. They should today as well. For the future of the United States and that of other countries rests on the most basic foundation–food and nutrition. Food for Peace must remain a top priority for the current government as it was the day President Kennedy took office fifty years ago. Article first published as Obama, Congress Should Copy JFK’s First Days in Office and Protect the Hungry on Blogcritics. The Washington Post reports that the United States has stepped up drone attacks in Yemen against the Al Qaeda affiliate (AQAP) there. But while the military component of the U.S. response in Yemen is surging, hunger relief plans, including life-saving interventions for infants, remain low on funding. This dangerous imbalance in U.S. policy will undermine a peace plan for Yemen. As the country remains locked in political turmoil with protesters demanding the resignation of President Saleh, hunger and malnutrition have intensified. Fuel and electricity are in short supply. All these conditions come together to form a perfect storm of hunger. Higher fuel prices lead to higher food prices. Lack of electricity means less proper storage of food which can be extremely harmful, particularly to small children. This perfect storm descends upon a country that was already gripped by hunger, long before the Arab Spring began. Last year the UN World Food Programme (WFP) drew up an emergency response plan to help Yemeni families suffering from high food prices. The idea was to deliver food rations to millions of Yemenis as a safety net. Now that plan takes on even more urgency. Help for people displaced by fighting between the government and Al Qaeda in Southern Yemen was added to the relief plan this year. However, the World Food Programme remains low on funding. 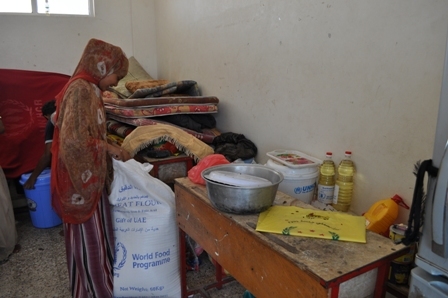 WFP needs about $60 million for its 2011 operations which include the aforementioned relief plan as well as aid for displaced persons in Northern Yemen, Food for Work Projects to build infrastructure, and Food for Education programs. This funding shortage is just for 2011. We also have to look ahead to 2012. In addition, UNICEF needs funding to reach all children with life-saving nutritional and health support. Children who do not get proper nutrition in the first thousand days of life suffer lasting physical and mental damage. 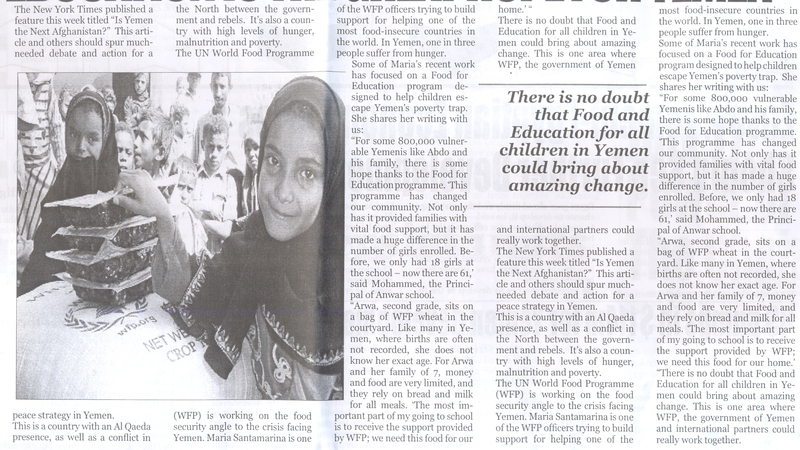 WFP and UNICEF depend on voluntary funding for their operations. The U.S. and partners for peace in Yemen need to ensure that these agencies have enough funds to carry out relief missions. It’s urgent that they do. A just released Child Mortality report stated that 69,000 children under age five perished in Yemen last year. Interventions like the further use of plumpy’nut foods and improved health care could save Yemeni children from this fate. Stepping up drone attacks alone is not going to bring peace in Yemen and improve international security. It takes a comprehensive effort that must have its foundations in support for the people of Yemen. Nothing is more basic to this than ensuring that Yemenis do not suffer from hunger and want. 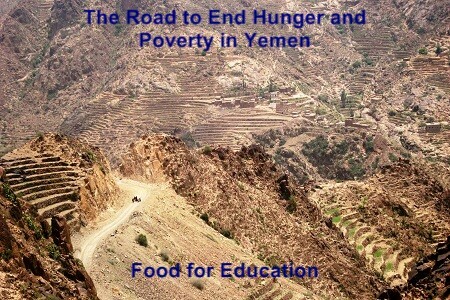 Article first published as U.S. Increases Drone Attacks in Yemen, Hunger Relief Remains Low on Funding on Blogcritics.